Warum leiern die Boygroups immer so 90s like? Der Chorus ist fluffig-poppig geworden - und der kann halbwegs überzeugen. This isn't great quite boring and not particularily memorable. A weak follow up to a high spirited debut.<br><br>2nd UK top 10. 7 weeks in the UK top 100. <br><br>UK#3.<br>Scotland#2.<br>Ireland#3. <br>Portugal#9.<br><br>200,000 copies sold in the UK. Totally agree. With such high hopes after the ultra-catchy What Makes You Beautiful, this is a very poor follow up. Just really boring. I know it's a ballad, but there's no heart in it. Disappointing follow-up to the mega-awesome What Makes You Beautiful. I know they're doing the tried and tested second single ballad, but surely with all the songs out there, they could've found something more memorable?<br><br>Edit: Okay, on more listens, I can't get enough of this song. I love One Direction so much! Agree with the comments above. This is a poor attempt at a ballad just like Heart Vacancy was for The Wanted. Und es heulen die Werwölfe im Wald.. I really enjoy it, I cant get enough of this band. Klingt als hätte man ihnen in die Eier geschlagen, als sie den Aufnahmen. Ganz schlimmes gesäusel! The song is alright itself, but the chorus is a let down and sorta annoying. It's a step in the right direction as that booming chorus is pretty spectacular. Strong ballad that although doesn't match to One Thing or What Makes You Beautiful, it stands as a good contrast to the two. The chorus is highlighted very well.<br><br>EDIT: I now think it is just as good as What Makes You Beautiful, but One Thing will always be their best. I preferred this to What Makes You Beautiful, but then again, I hated WMYB and I loathe One Direction. 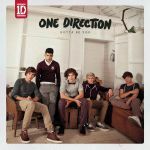 Je préfère les autres singles de "Up All Night". I didn't hate it too much but it's so full of soppy cliches. At least it's more boring than it is annoying. The music is nice but I can't help but feel that it's missing something. Just feels a little empty I think. nicht ihr bestes stück...eine der schwächeren sigles auf dem sonst sehr guten album "Up all night"
Terrible. Definitely a 1 for me . 14 Jahre alt und weiblich müsste man sein. Auch nicht schlechter als die anderen. ▒ Toch een aangename, vergeten, kerstplaatje uit november 2011 van de Engelse / Ierse pop formatie: "One Direction" !!! Nipt 4 sterren ☺!! !